Several years ago, Google went on a large-scale program of attempting to scan a copy of every book ever printed. Those books which have been scanned and which are out of copyright protection have been made available to the public for non-commercial use. 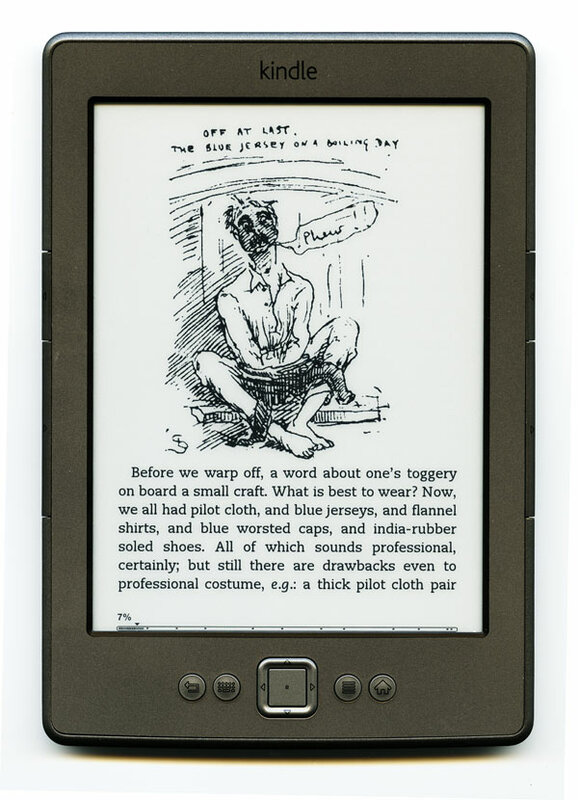 Google has used Optical Character Recognition (OCR) technology to convert many of these texts to epub (ebook) format. Unfortunately OCR can perform very poorly and many of these books are unreadable. Furthermore, many are missing most of the illustrations. 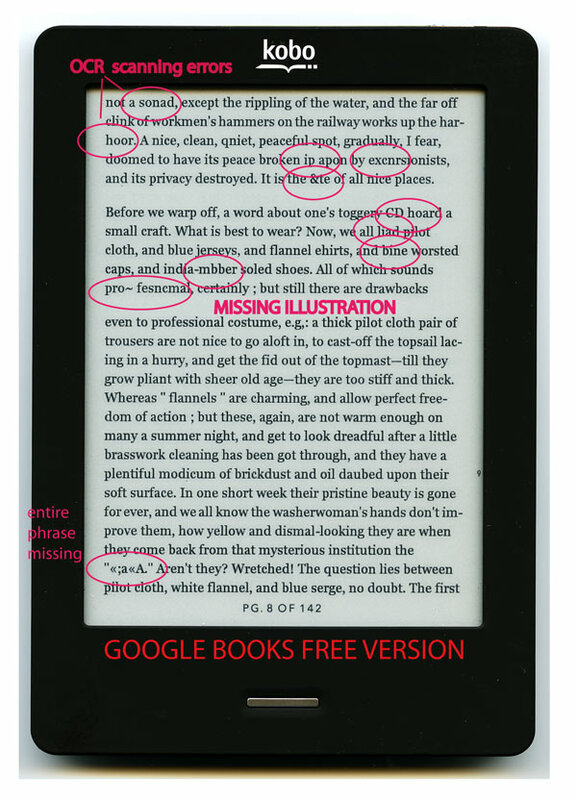 We also see several disreputable publishers of both ebook and print editions whose work is just as poor. We start from an original print, then hand-scan the illustrations in each book and carefully restore them using image editing tools such as Photoshop to produce the best quality images while retaining the compact image size required by ebooks. Fortunately, we find that the woodcut technology which pre-dates offset printing using halftones is well-suited for reproduction on e-ink readers, due to their high resolution. We also proofread 100% of the text and we provide modern editorial notes where applicable. The two images below show a comparison of the same book first as a free Google book and second, in our edition. It is not important that one is on the Kindle and one is on the Kobo. These are actual flatbed scans of the real devices. This isn't to say that there are not high quality free e-books out there, just beware that sometimes you get what you pay for.